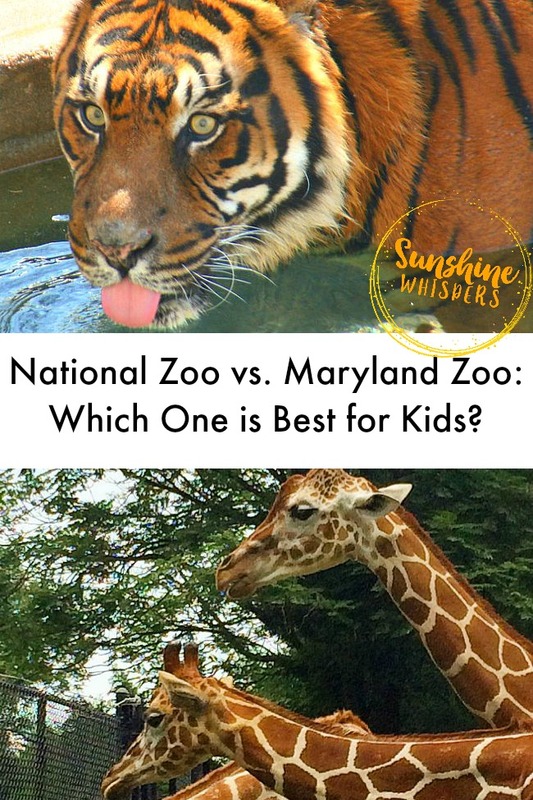 National Zoo vs. Maryland Zoo: Which One is Best For Kids? It’s the National Zoo vs. Maryland Zoo. Which zoo is best for kids? 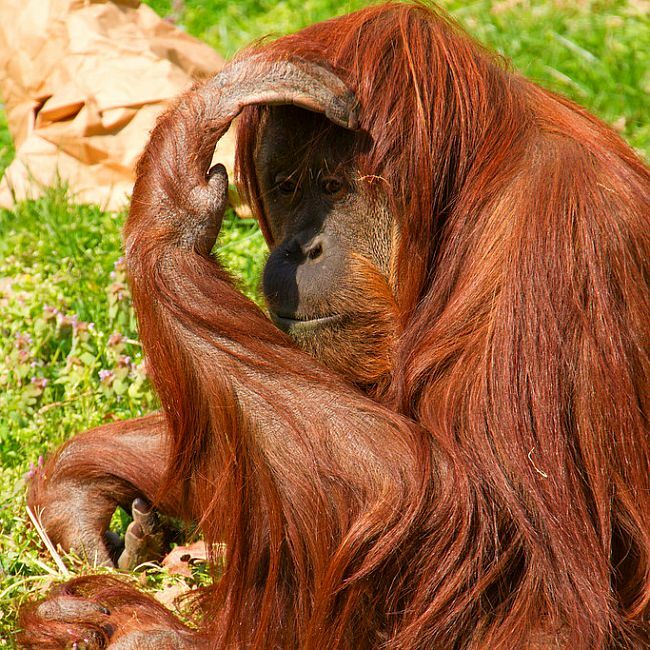 Which zoo has the animals and amenities you are looking for? When was the first time you took your kids to the zoo? If you are anything like me, the zoo was one of the first family outings you were brave enough to try. I think our daughter was only about 9 months old when we first hauled her and all her ‘gear’ to the Maryland Zoo in Baltimore. Winter snow had melted and the scent of Spring was in the air. It was a pleasant, sunny day and Grandma was in town for a visit. I was a little nervous about planning an outing that could go wrong in so many ways. But it was sunny.. and it was Spring… and we were all stir crazy. It was time to get out of the house and start seeing the world through the eyes of our little girl. Then it happened… one of the first animals we saw at the zoo was the zebra. Multiple zebras to be exact.. and a rhinoceros.. and giant ostriches. Our daughter’s eyes were as big as saucers and she kept giggling and pointing. She was hooked. We were all hooked. And now, 4 years later, we have been to the zoo countless times. It is one of our favorite fun things to do. 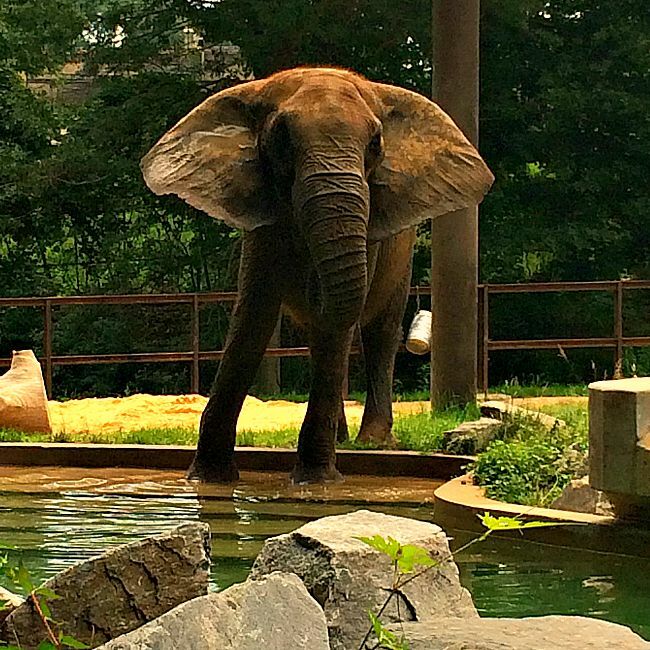 A trip to the zoo is amazing and anyone who lives in or has visited the DC-Baltimore area knows that we are incredibly blessed to have two major zoos to choose from. So, if you can only plan one trip to the zoo, which zoo do you go to? Which one has the animals you really want to see? 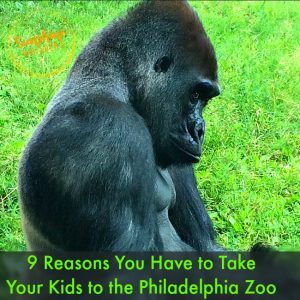 Which zoo is best for kids? So, first things first— this is actually a trick question. 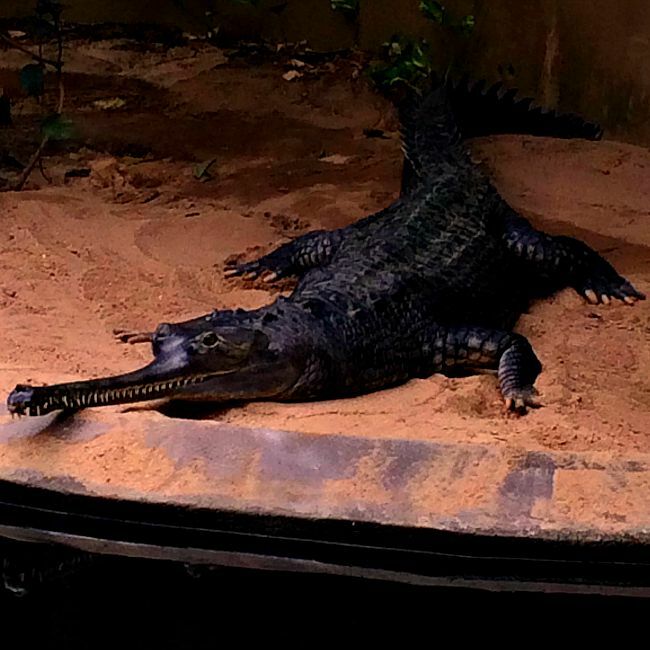 Both zoos are awesome and amazing and both zoos are fantastic for kids. I have actually written in depth reviews for each zoo and you can read them (click on the linked text below) if you want all the details. However, each zoo definitely has strengths and weaknesses, pros and cons. Whether a feature or detail is a pro or con for you will depend on the age of your kids, the temperament of your kids, where you live, and which animals are on your ‘must-see’ list. So, let’s get started comparing these two fine institutions! 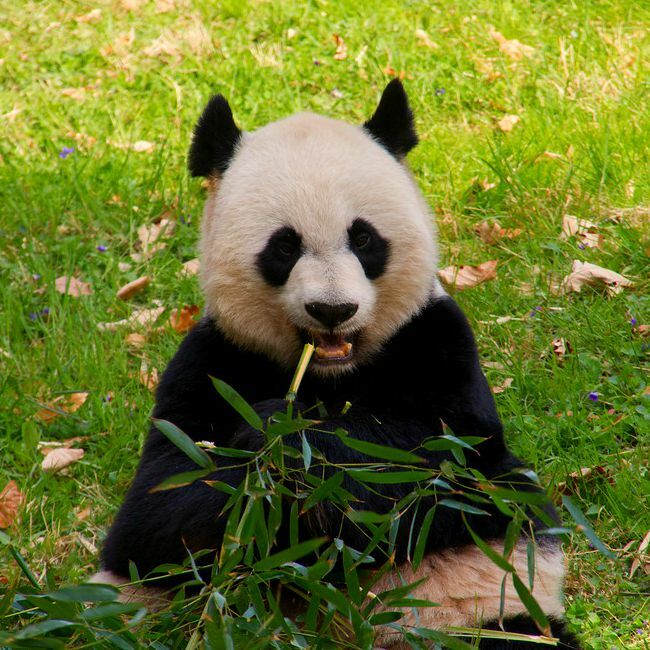 The National Zoo in DC has free admission as it is part of the Smithsonian Institute. However, parking is not free. You can either reserve parking through Parking Panda or pay a flat fee of $22. If you become a FONZ (Friends of National Zoo) member you can score reduced or free parking. Basic membership with 50% off parking is $60/year and Premier membership with free parking (and more than one named adult on the account) is $80/year. The Maryland Zoo in Baltimore typically costs $18 for adults and $14 for children (age 2 and under are free). Parking is free. Basic membership (2 adults and 4 children) are $125/year. If you live inside the DC Metro area of operations, the National Zoo is clearly the run away favorite for this category, mostly because you don’t have to park. If you live outside of DC, this question is a little more complicated. Parking at the National Zoo is a big pain. There is no other way to sugar coat that. We have personally never had parking issues BUT we always go to the National Zoo at non-peak days/time of the year OR we arrive about an hour before the zoo exhibits open (the zoo grounds open early). If you drive all the way down to the National Zoo and can’t find parking, your only options are to try and find street parking. Plus, let’s be honest– driving in downtown DC can be a pain. A big pain. The other complication is that the National Zoo is situated on a big hill. So, if you are not careful, you could be walking uphill back to your vehicle at the end of a long day. Conversely, parking at the Maryland Zoo is a breeze. All of the zoo parking lots are a very short walk from the zoo entrance. Also, there seems to be ample parking at the Maryland Zoo. Again, we typically don’t visit the zoo at peak times, but have never had any problems finding close parking. The only negative about parking at the Maryland Zoo is that in one of the parking lots, there is a strange cobblestone pavement which is terribly eroded to the point that the cobblestones stick up considerably from the grass. It is a bear for strollers.. but it is close. So, we always grin, bear it, and hope a wheel doesn’t break on the stroller. The National Zoo is a much larger zoo than the Maryland Zoo. It is also situated on a big hill. So, yes… it is very hilly. I would highly suggest you bring the stroller to this zoo for kids under 4 or 5 years old, even if you don’t think you need it. Your kid’s legs will get tired. Your legs will get tired too… just be prepared for that. Many families with young kids find it hard to see the entire zoo in one day without tempting major temper tantrums. The zoo is pretty stroller friendly though. Be careful how you enter the North American part of the zoo because one way is stroller friendly.. the other (more direct) way is decidedly not stroller friendly because of all the stairs. There are a number of indoor animals exhibits that you may or may not want to try and maneuver a stroller through but those facilities also have clearly marked stroller parking areas. The Maryland Zoo is much smaller and is much more walkable, both for little legs and for strollers. When you arrive at the entrance, there is a tram that takes you to the main zoo. You can also opt to walk along a very pleasant and shady path. There are some hills at the Maryland Zoo but there are also many flat area. Somewhere around 2 1/2 years old, we ditched the stroller for the Maryland Zoo and haven’t used it since. Another consideration– The National Zoo is considered a major tourist attraction in a major tourist town. When school is out this zoo will be packed. We have visited at times when we had the zoo to ourselves and at times when it was so packed you could barely see the more popular animals such as the Panda Bears. Additionally, both zoos are popular field trip locations for local schools. You might want to call or check the website to find out if you will be sharing your day trip with 50 busloads of super energetic school children. What about visiting the zoo during yucky weather? This is a slightly complicated question to answer. The National Zoo is very hilly and there are areas of shade. However, you are just as likely to feel the sun beating down on you like a hot, muggy (this is DC after all), drill. To compensate, the zoo installed misters that can offer some relief from heat. Also many of the animals exhibits are actually indoors. So, if you need a break from the heat– or if it is raining, check out the reptiles, monkeys, Amazonia, or the Elephant House. The Maryland Zoo is definitely more shady. Actually, most of the zoo is under the cover of shade. The downside for inclement/rainy weather though is that there aren’t many indoor exhibits. There is the Chimpanzee Forest, parts of the petting farm, and the giraffe house (if the giraffes are in there) that are inside. Everything else is outside. There are plenty of kid-friendly dining options at both zoos. Of course, the prices are not necessarily wallet friendly at either zoo. Memberships give you a discount though AND both zoos are ‘bring your own lunch’ friendly. So, you could pack a lunch and save a lot of money. We have eaten at both zoos and the food is decent in both locations. Additionally, both zoos have snack carts or vending machines throughout the park where you can get ice cream, beverages, and other treats and snacks. I know, I know– why do we even need to ask this question. If you are taking your kids to the zoo that is really the main event, right?! 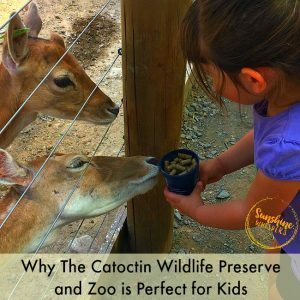 There are extra fun attractions at each zoo though and if you are visiting with kids, they might be the difference between a good day and a great day. 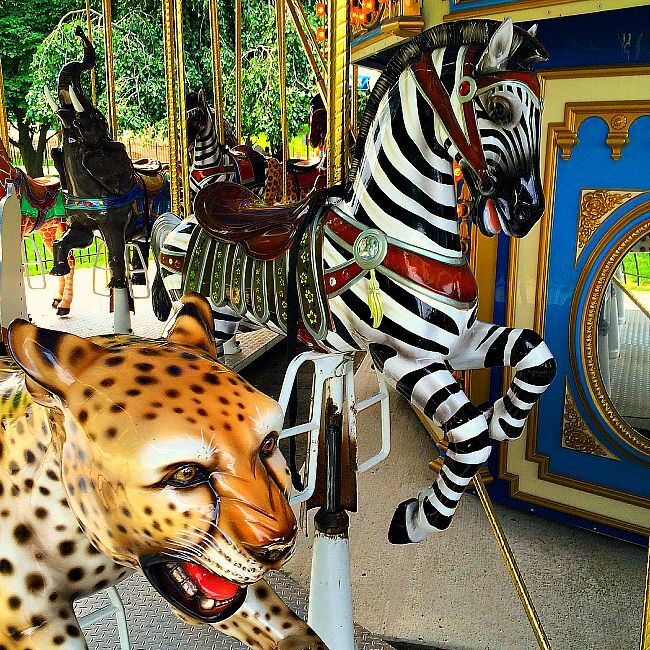 Carousels: The great news is that both zoos have super nice carousels with hand carved and meticulously painted animals. Carousel rides cost $3 at both zoos. Petting Farm: The National Zoo hosts a very popular Kid Farm, but we have never actually touched any of the animals there, and the website does not indicate that you can. The Maryland Zoo also has a farm area and there is a goat grooming animal encounter that is free and VERY young kid friendly. Train: The National Zoo does not have a train. 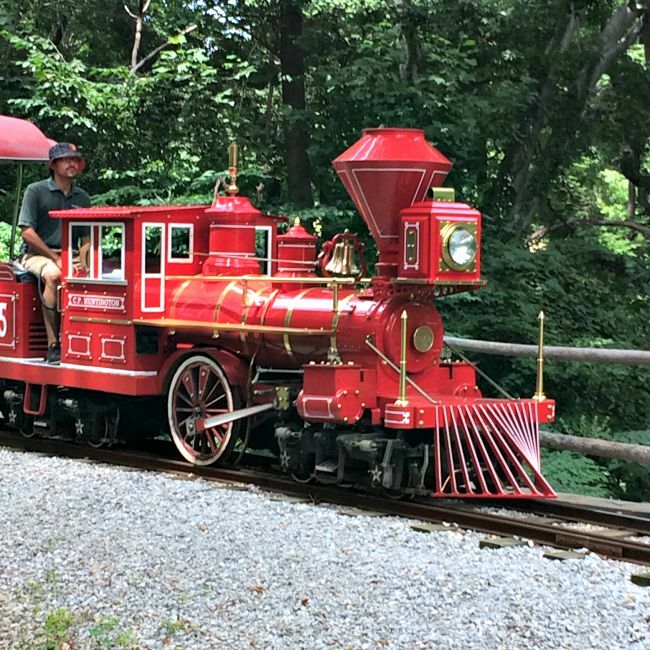 The Maryland Zoo boasts a miniature train, called a Zephyr. 10-minute train rides cost $3 for members and $4 for non-members. The train ride is cute and fairly scenic. Animal Encounters: Both zoos have animals encounters that are probably too pricey for a family with young kids. Fortunately, both zoos also have some pretty interesting free or almost free animal encounters as well. At the National Zoo you can get up close to orangutans as they traverse the O-Line overhead. Also, there fairly interactive harbor seal keeper chats throughout the day. The Maryland Zoo easily wins this category though. For $2 a leaf, you can actually feed a giraffe. No joke– your hand can touch the tongue of a giraffe. If you are imagining how awesome this is… guess what? It is totally awesome! Additionally, in the summer months guests can pay (I believe) $7 to ride a camel. There is not an interactive seal keeper chat (no seals) but penguin feeding time is very lively. Playgrounds/Play Areas: This is another category where the Maryland Zoo has a lot to offer young kids. There is a slide in a silo and saddles to climb on at the farm area. There is a full blown playground near the zoo entrance, as well as a pair of lions your kids will absolutely want to ‘ride.’ The Maryland Wilderness area is absolutely amazing for kids though. 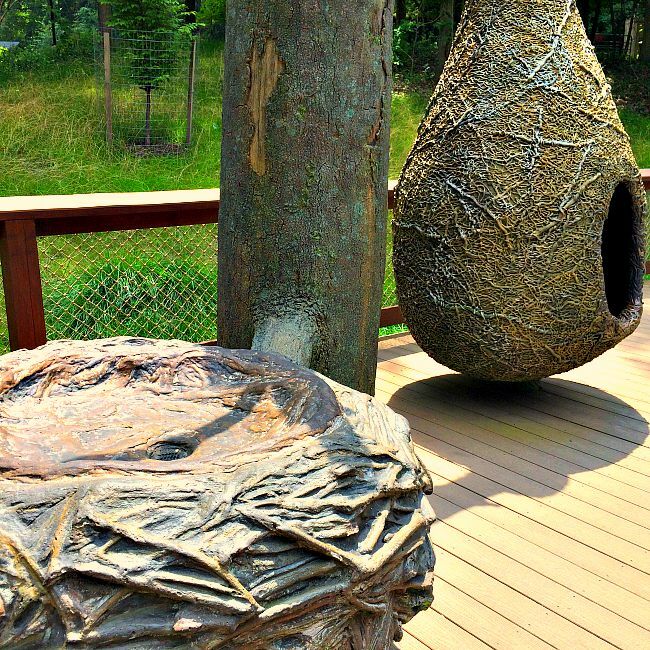 Kids can hop across a marsh on gigantic lily pads, poke their heads out of the ground like prairie dogs, sit inside an eagle’s nest, crawl inside a giant tortoise shell, and slide down the super cool tree slide. 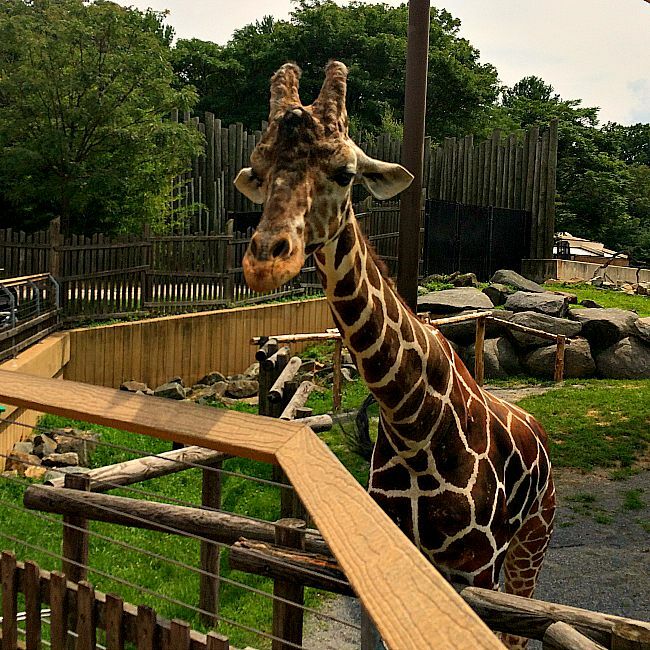 The African Journey part of the zoo has many of the ‘must-see’ animals, but your kids will LOVE the hands on activities in Maryland Wilderness as well. Everything else we have discussed is rather meaningless outside the context of the animals. I mean, the whole reason you go to the zoo is for the animals. Bottom Line: Both Zoos are amazing. Bottom Line #2: There are striking differences in which animals are at which zoo. 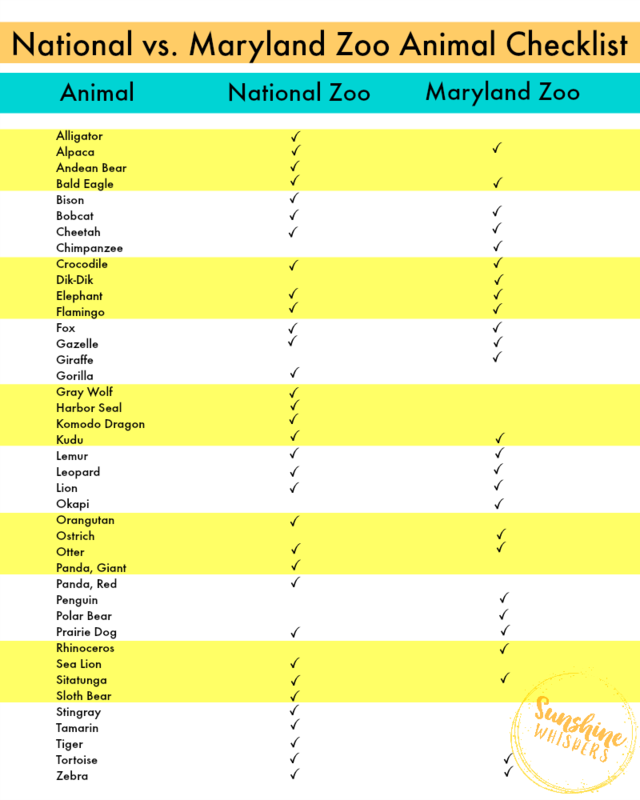 To help you figure out which zoo you really want to visit based on the animals that are there, I have put together this super handy Zoo Animal Cheat Sheet. You can snag your own printable copy by clicking here or just click on the picture of the cheat sheet below. The Great Cats exhibit at the National Zoo is utterly amazing… as long as the cats are out. The lions are usually a sure bet. We have heard the male lions roar at breakfast time and also seen a number of the lion cubs play. So much fun. The tigers are unfortunately more aloof. Personally, I think the Great Cats exhibit is one of the highlights of the National Zoo. If you want great photos though, bring something with a good zoom. The cats will not be close to you. The Great Panda Habitat has an indoor and outdoor area. Definitely do both. We have had great luck seeing the Pandas outside, but nothing can compare to the up close and personal views you can get inside on the Panda Trails. Other highlights are the Great Apes habitat and the Cheetah Conservation Station. When the weather is nice, you can get really great views of both the Gorillas and the Cheetahs. Slightly disappointing habitats? This is clearly just my personal opinion, but I have always been disappointed with the Elephant Outpost. We have never been able to get close enough to see them well, or they were close, but great photos with unobstructed views were hard to come by. The other disappointing exhibit is the Zebra habitat. Perhaps it is because the habitat at the Maryland Zoo is so much nicer. The one thing I LOVE about the Maryland Zoo is that you can get really really close to the animals. Clearly, this is great for young kids. In addition to actually feeding the giraffes, the way the elephant habitat is set up, you can get an unobstructed and close view of these giants relatively easily. The first major stop on the African Journey part of the zoo can be totally awesome. This is where the Zebras, Giant Ostriches, and Rhinoceros co-mingle. 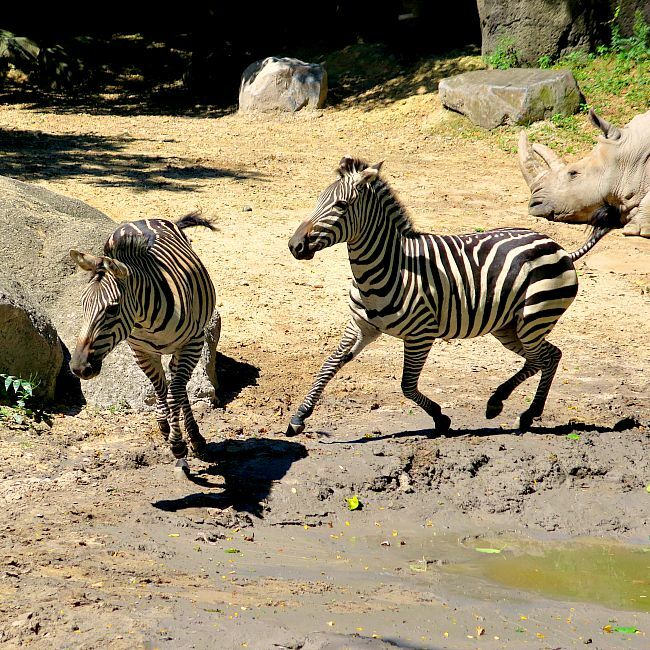 We have seen Zebras chasing each other and Rhinoceroses moving tree branches. In the past I was usually disappointed by the cheetah, leopard, and lion habitats. 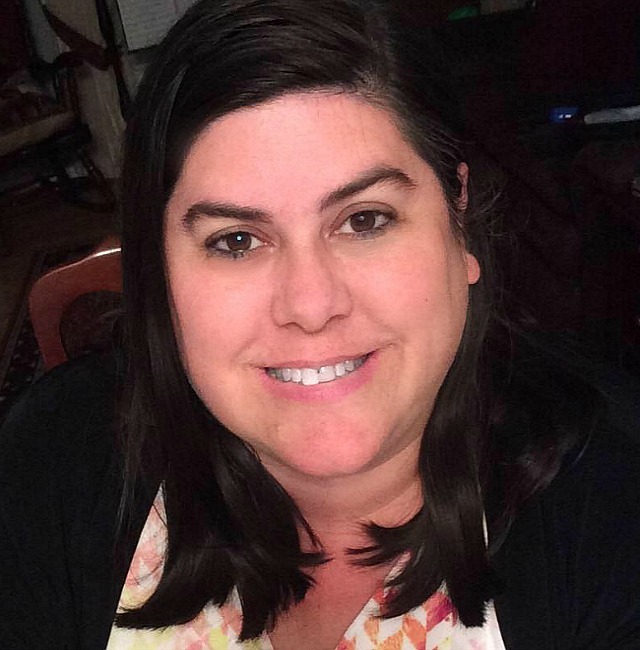 It seemed like they were never ‘on exhibit.’ However, recently that has changed. With the addition of two cheetah brothers in 2016, that exhibit has been a lot more lively. Here is the thing about the lion habitat. It is not nearly as impressive as the Great Cat exhibit at the National Zoo. However, you can still get a much closer look at these giant cats (through a Plexiglas barrier). If they aren’t sleeping you might get the treat of seeing them eye the giraffes (the two habitats are next to each other). Also, you are close enough that f your kids ROAR loud enough, you might actually get the attention of the lions. The Polar Bear exhibit is another hit or miss for us. When the polar bear is out, and definitely if he is playing, this is a super fun exhibit. You can get a good look at him as he swims or climb aboard a groovy bus overlook that will give you good views too. Of course, the polar bear can be sorta elusive, so timing is everything. The Chimpanzee Forest is nothing short of amazing. This exhibit is awesome year round as the chimpanzees have a fairly large outdoor and indoor habitat. Our most interesting encounter here was actually during a winter visit. The chimpanzees were a little stir crazy and they were running from the back end of the habitat to the front– leaping and body slamming the glass wall with the full force of their bodies. It created a series of very loud booms and was quite startling… but definitely something our daughter did not forget. Winner: Both! Both zoos are amazing! 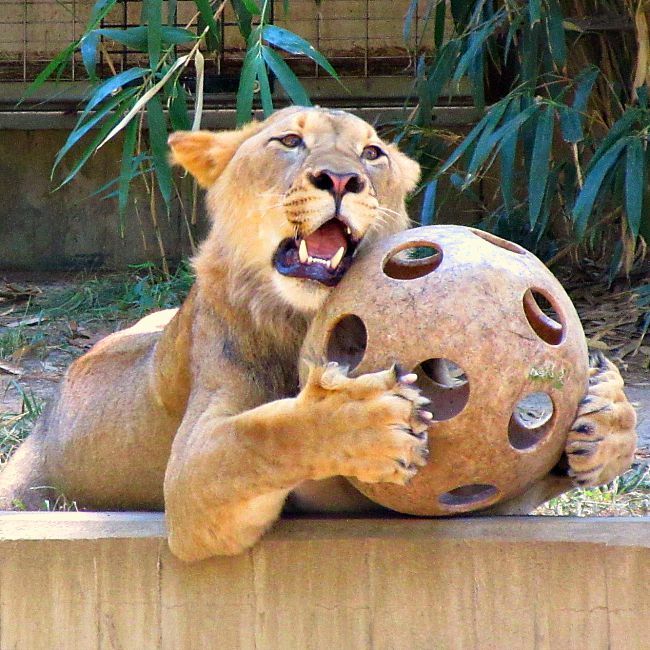 Tips for Maximizing Your Zoo Fun! When in Doubt, Bring the Stroller. This is especially true for the National Zoo (although there is an option to rent a stroller). You would be surprised how much walking you will do at the zoo. Little legs will get tired fast. Pack lunch, or at least snacks. Since both zoos are picnic friendly, you can save a ton of $$$ by bringing your own food. If you want to give your kids a culinary treat, bring the main meal and splurge for a snack or dessert. Drink Water. You would be surprised how quickly you get dehydrated, even in the winter months. Bring a Change of clothes. I know, obvious for parents with young kids. However, you would be wise to do this for your preschooler as well. There are plenty of restrooms at both zoos, but your kids are going to be distracted. The last thing you want is for your daughter to cry that she has to go potty right now, when you are about 1/2 mile away from the nearest restroom. Hats and sunscreen. Even though there are lots of shady areas, you will be thankful to have sun protection. Don’t Try to Do the Entire Zoo in One Day. Caveat: you probably could do the entire Maryland Zoo in one day IF you actually were there the entire day. The National Zoo is just too big to see everything in one day if you have to think about little legs and little attention spans. Instead, pick one part of the zoo, or the top 5 animals you really want to see. 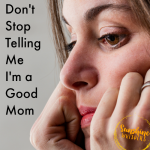 Go to those areas first and then, if you have time you can see more… but go home before you enter exhausted temper tantrum trigger time. There you have it. 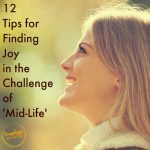 I hope you have found this guide useful! If you have, please do me a solid and share it with your friends on Facebook or Pinterest or Twitter. Oh, and don’t forget to download your Zoo Animal Checklist! PS– There are plenty of other zoos in the area. For more zoo ideas check these out! Download this FREE checklist printable now before your next trip to the zoo. 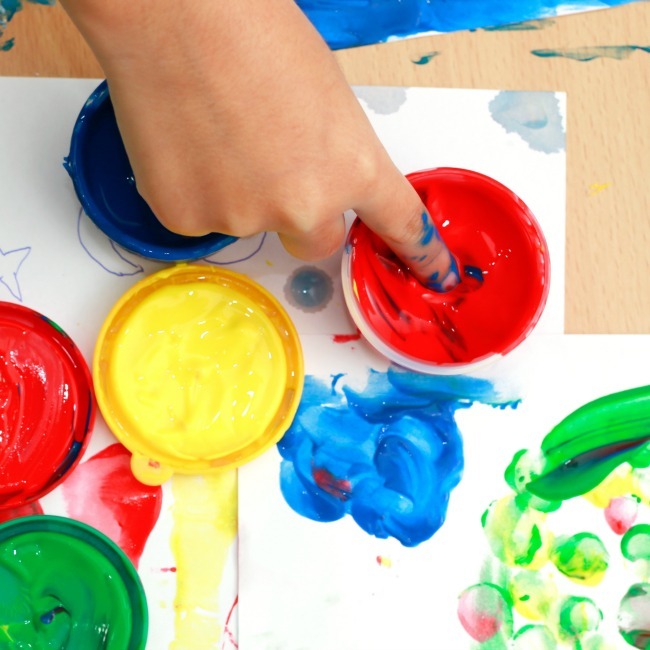 Stick around for more ideas for family fun delivered weekly straight to your inbox!